Twin City Honda-Suzuki in Festus, MO. Shop our large online inventory. 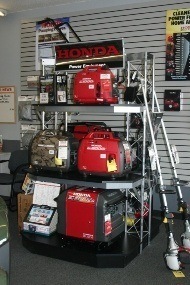 We are a full service Honda & Suzuki Motorcycle dealer and also a Honda Power Equipment dealer. We are located in the Herculaneum/Festus/Crystal City area in Jefferson County, Missouri. We serve surrounding counties as well and we are located only 20 minutes south of St. Louis. 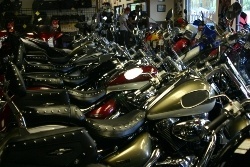 We are always looking for "NICE & CLEAN" USED MOTORCYCLES, SCOOTERS and ATVs with "CLEAR TITLES" for consignment sales. Let us sell your bike for you so you don't have to mess with the public! CRUISERS...That's right. Start cruising yourself to some HUGE SAVINGS! Beat the high price of gas, with cruisers getting up to 70 miles per gallon! Motorcross racing bikes & all around woods & dirt bikes. To have "FUN", you got to get DOWN and DIRTY sometimes! 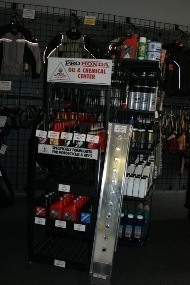 WE WILL "NOT BE UNDERSOLD" BY ANY LOCAL DEALERS, PERIOD! O% APR FINANCING & WITH NO MONEY DOWN ON SELECTED SUZUKI MOTORCYCLES & ATVS or PAY CASH and RECEIVE " SUZUKI'S CUSTOMER CASH PRICE "
FINANCE APPLICATIONS: "OVER-THE PHONE" or "ON-LINE"
HUGE savings on all Utility ATVs. The best ATVs on the market today! 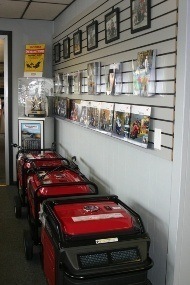 Honda Mowers have always been a great seller! 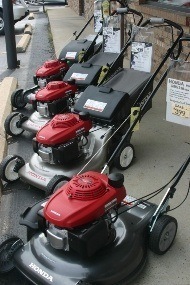 Most Honda mowers are ranked #1 in each of their catagories, year after year! You tried the rest, NOW try the BEST! On Road/Off Road Motorcycles. Always low financing rates available. PORTABLE GENERATORS The BEST that Your Money can buy! Don't be shut down at your campsite, always use Honda's Super Quiet Generators. Voted #1 year after year! When it is time for servicing your Atv, Motorcycle, Scooter or Power Equipment items always use Honda & Suzuki Factory chemicals for longer lasting engines and better performance. 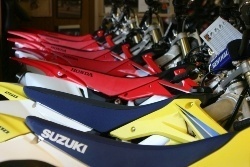 You have tried the rest, NOW try the best, HONDA & SUZUKI Sport Bikes! The Fast and the Furious Sport ATV's! The BEST that last & last! 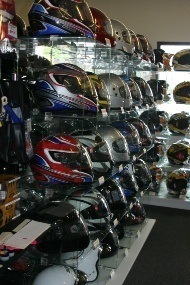 Our Helmets are always on sale and at the lowest prices in town. Starting at only $44.95 and up. That's Right! Very cheap insurance, so please Ride smart! Always wear a helmet! Because "STUPID HURTS!"